The core business of the company is hydroinformatics, which is a new and one of the most rapidly developing fields of applied earth sciences. This technology is a new dimension of the water science, driven by the advance of information technology for modelling water management. Statistically-based, lamped, physically-based and hybrid mathematical modelling for water management and environmental systems. Data assimilation techniques for hydrological models. Meteorological (precipitation, temperature) field analysis and modelling, based on mathematical combination of raingauge and radar rainfall estimates. Distributed, large-scale, high resolution hydrological model-development. As a results of this activity, it has been developed the large-scale high resolution distributed hydrological model DIWA (DIstributed WAtershed) which is a dynamic water-balance hydrological model that distributed both in space and its parameters, and which was developed along combined principles but its mostly based on physical foundations. Frequency and duration estimation of extreme hydrological events. 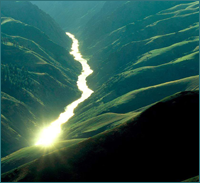 Calibrating complicated mathematical models of water management. Solving inverse problems of water design (e.g. 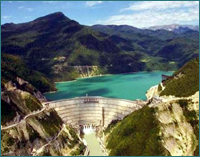 : optimal reservoir operation strategies, optimal planning of unregulated  flow-through type  flood retention reservoirs, etc.). User-friendly, Windows based software system with fully graphical user interface for DIWA (DIstributed WAtershed) model with internal automatic calibration function. 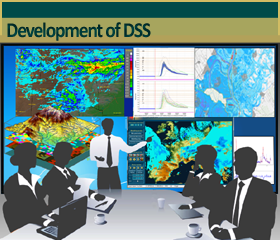 Over the years they obtained a number of successfully experiences in using the DIWA model, such as: real time forecasting, land-use change influences on floods, real time drought-forecasting, flood and drought-frequency analysis, impact assessment study of planned flood retention reservoirs, and more. On-line meteorological (precipitation, temperature) field analysis and modelling based on a new technique which was recently developed and introduced to combine raingauge and radar rainfall estimates. 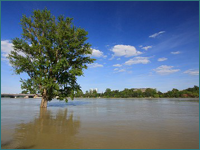 It aims at obtaining rainfall estimates that can be used as reliable inputs for hydrological models. Stochastic weather generator for multisite generation of daily sequences of meteorological data. The software can be used successfully for a wide array of applications. This approach became increasingly used in various research and engineering topics, including frequency and duration analysis of extreme hydrological events (flood, droughts, and water scarcity), climate change and its influences on water resources, design-value estimation for reservoirs or for river gauges, etc.